Phew, what an end to 2008! Firstly, I really really need to apologise for the rather abrupt silence that has fallen over Kindasophically Speaking. and I certainly have not run away with some cute twentysomething millionheiress!! #1 -- I'd decided to renovate my house some time in Nov 08.... with us still living in it! Yep, imagine rubble, lots of hacking, dust everywhere, a regular war zone right in my living room! Imagine having 3 hammer-drills going off in opposing walls simultaneously! Its an experience even a THX system can't (and shouldn't ever) reproduce! (c) Astro, PSP and lots of fun places in Penang to keep them busy! I should show you the before-after photos one day (of the reno, not the kids! ), when I get my things organized. #2 -- End-of-year during good times is tough (raking in the orders for a wonderful close).... but end of year during tough times is *painful*. Well, at least I still have a job (for now!) so keeping busy at work is a good thing. 'Nuf said! #3 -- One of my boys (when they finally got back) decided he missed my PC so much, he gave it a kick. My workhorse was already whirring a bit too noisily for my liking the past days, but my boy's kick looked like the final straw. It actually just died that very instant! That IBM Netvista had been chugging along 24x7 for nearly 3 years without any fuss in an un-air-conditioned room. It even kept running during the dusty renovation (yeah, dumb thing to do on my part). I think its earned its retirement! So the combo of these 3 things effectively kept me out of active blogging for these many weeks. My priority now is to get 2009 started -- back to work tomorrow! After that, find a worthy replacement for my trusty Netvista... and hopefully, get back to some of my usual ramblings! Hmm, that's going to cost a pretty penny! And nope, I still haven't gotten the X1 yet, and nope, am not settling for the E71 either.... but am starting to get interested in a couple of other things! My mind's thinking of a 46 inch LCD, but with the huge dent the renovation has put in the pocket, my wallet's screaming "ARE YOU OUT OF YOUR BLINKING MIND???!?!!!?!?!?" 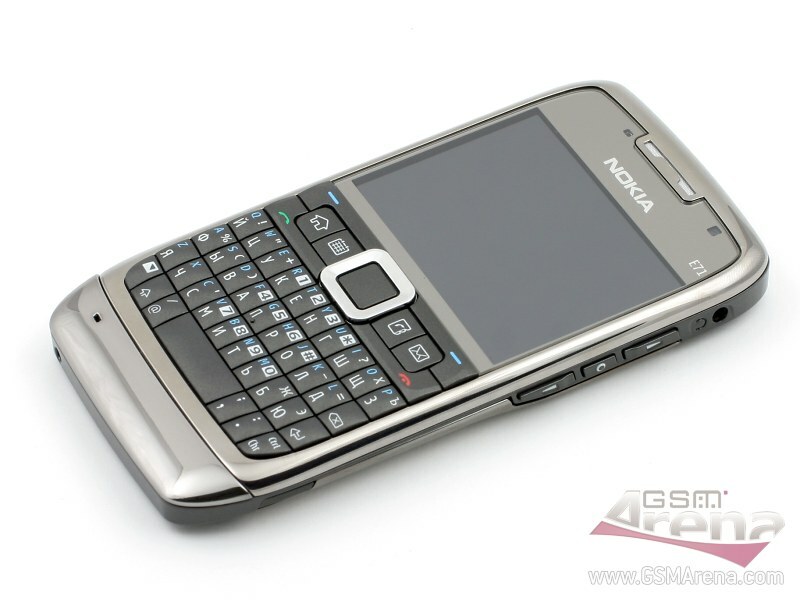 How about an alternate to the X1 -- the Nokia E71? Okay, so if you're still looking for a super-cool, full qwerty-keyboarded phone, but are unwilling to part with RM 3,199 of your hard-earned cash, what can you do? Well, if waiting is an option (I think my M600i can go on indefinitely, actually) then that's the surest way of getting the price down. Give it six months and I'm sure it will be in the comfortable side of 2k. 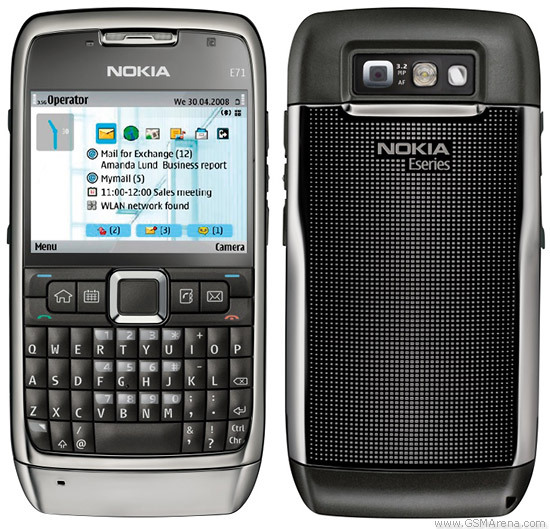 Presenting the kinda new and not quite hot-off-the-shelf, but still top scoring Nokia E71! Okay, before you proceed further, I must stress that this is *not* a touchscreen phone. So if you're looking to touch, poke, stroke and write on a phone, then you can forget about the E71. 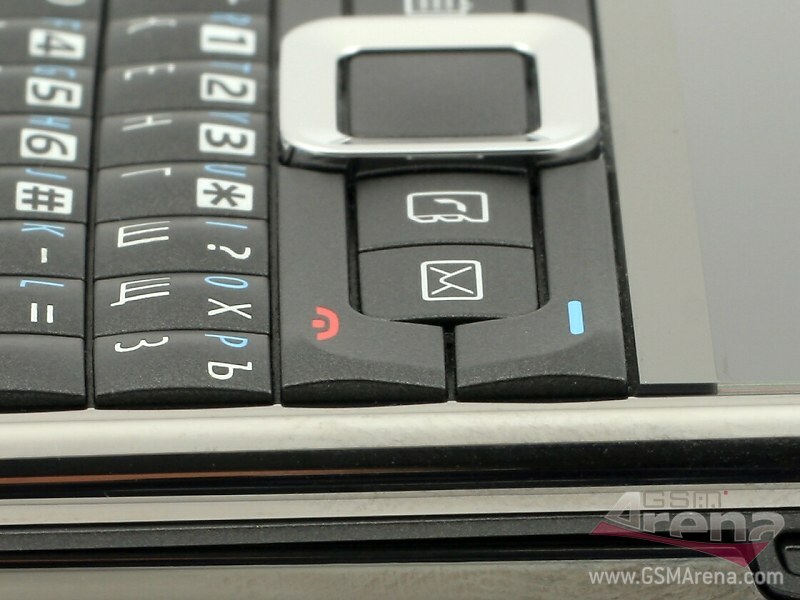 CNET.UK says the E71 has enough finesse to not look out of place, sitting in an Aston Martin. And gives it a 8.9 (excellent) rating for an almost-perfect phone. Allaboutsymbian.com says there's a lot to like about the E71, which it calls a 'miniaturised masterpiece'. engadgetmobile.com summarises the E71 as as "manages it all with style, providing a plethora of features in a speedy, beautiful and minuscule device"
Boygeniusreport.com boldly calls it "is the best phone Nokia has made to date"
Brighthand.com concluded its review calling it "probably the best handset available for prosumers" by taking the iPhone features people want and the BlackBerry functions needed and sticking it into a "package that is well designed"
Here are a few shots of the E71 from GSMArena .... if you love the BlackBerry's looks, then you'll find this quite irristable! And this is what you have inside that slim, 10mm metal-clad body -- Nokia's slimmest phone so far!! Software included in the package: QuickOffice, Active Notes, Dictionary, PDF reader, Skype.... the list goes on! There is, however, one consistent complaint about the E71 -- its Achilles' heel -- the 3.2m autofocus camera. It seems that Nokia had gone cheapskate with this particular component and put in a mediocre camera -- washed out colours, poor contrast, slow shutter, purple fringing... in short, something not at par with the rest of this phone! So phone snappers... beware this point! So, with all of the above, wrapped up in a nice, handsome package, and a street price of RM 15xx for 'original' and RM 13xx for grey imports.... one would say this is actually a real bargain! In my previous post, I'd mentioned that the early birds (i.e. first 50) stand to get between RM 1500 to RM 250 discounts on the X1. Officially the launch was from 12noon to 3pm that Saturday in 1 Utama new wing. It turned out the first 5 customers got RM1500 discount.... no gimmick, fooyoh! Next got RM 1000 and it slowly tapered down to if you were among the last 50 then the discount shrank to RM 250. To cut the story short... I missed my chance to be the first 50. Even if I were early enough... I seriously had to then ask if I was willing to part with RM 3,199 for the phone??!? As cool as it is (you should see the one in brushed steel... its to *die* for!!! ), can you seriously part with what's effectively a month's or a couple of months' salary for many people, just for a gizmo to say 'hello!' ? Evidently, that's an easy 'YES!' for many purchasers of the X1 on that day. I met an Andy who, like me, missed out being the top fifty... but he went ahead and still bought the phone at full price.... "what to do?" he asked disappointingly! Economy not doing so good you say? Tell that to the tech fans, my friends.... tell that to the tech friends!! !